Please Note: The Atlantic County Library might already own the item you want. If you don't find an item in our catalog, you can request the item through your branch library or through the internet. 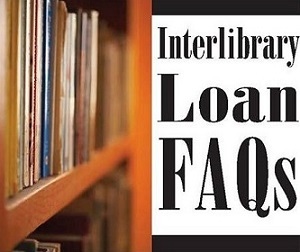 A. Interlibrary loan, often called I-L-L, lets you request items not owned by the Atlantic County Library System. Q. Who can use ILL? A. Anyone with an Atlantic County Library System card can use ILL.
Q. What types of materials can I request? A. You can request books, sound recordings, audiovisual materials, and photocopies of articles. Please be aware that many libraries will not loan recently published or high-demand items, textbooks, rare or fragile materials, and electronic resources. Books and Audiobooks – 6 months from date of publication. Music CDs and DVDs – 1 year from release date of the cd or dvd. Electronic format items, software & games cannot be borrowed. Q. How long does it take to get something through ILL? A. Usually, it takes from 2 weeks up to 2 months to get an item, depending upon where the item is coming from. Items coming from out of state generally take longer to arrive. Q. How many ILLs can I have? A. You can have up to 6 at a time - which includes items you are requesting, items currently checked out to you, and items in the process of being returned to the library that owns them. A. The Atlantic County Library System and most other libraries do not charge for ILL services. But occasionally, the item is only available from a library that does charge a fee. If you are willing to pay, please indicate the maximum amount when you make your request. Q. How long can I keep the materials? A. Loan periods may vary. Items on interlibrary loan can not be renewed. A. ILL materials may be returned at any Atlantic County Library System branch or the Bookmobile. Q. What if I lose or damage my ILL item? A. If that happens, then you are responsible for the fee charged by the lending library. The amount varies from library to library, but typically may include the cost to replace the item and/or a processing fee. Q. How do I make an ILL request? A. From your own computer or one at the library, first check the Atlantic County Library System catalog. If you can't find the item there, click here to make a request. If you need help, just ask any library staff member to assist you.